While editing our first senior session, I came across the archery image and could NOT get this verse out of my head! I simply HAD to put it in the description when posting the image the Facebook. The mom then asked if there were any way to add it directly to the image.....and thus, a new passion came forth: Bible Verse Subway Art Portraits! I LOVE getting requests from moms to have a specific Bible Verse added to an image! It adds so much to what the portrait means to my client and to me! 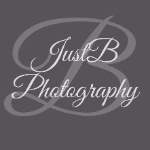 This business is truly so much more than "JUST" Photography for us at JustB Photography! It's a means to an end for allowing the Lord to use us in some way! Let us know if there's a bible verse you would like added to one of your images! We would LOVE to help create one of these beautiful, unique pieces of art for you! !